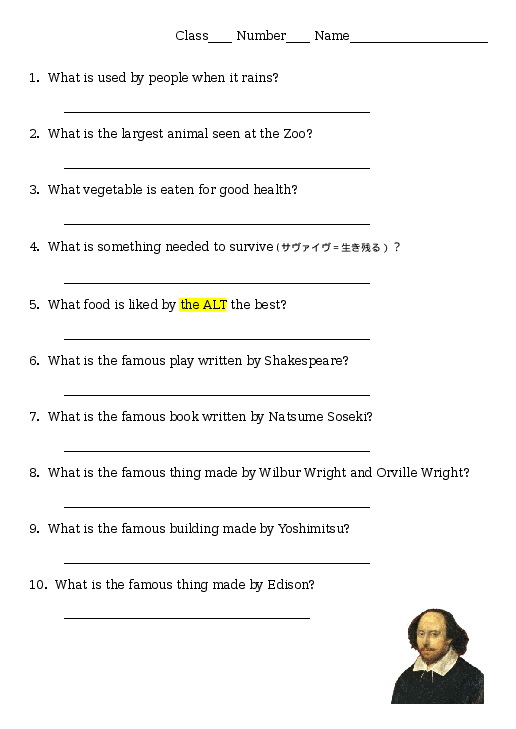 a good warm up or cool down - A worksheet/quiz with questions such as "what food is liked by the ALT the best"
This is best used as a warm up or a cool down. Pass out the worksheet and have the kids fill it out. You can read it aloud and have the kids do it as you read it, writing only one word answers, or you can have them do it quietly, and have them write full sentences. It's probably best to go over the answers with the class immediately after doing it to make it interesting.